The Olympic Club Membership is the ideal choice for the occasional Puget Sound sailor. The idea is to limit your guaranteed investment, while giving you the same access to our fleet as the more inclusive Unlimited Day Sailing Memberships. If your plan is to sail less than once a month (per year), you’ll save money joining the pay-as-you-go Olympic Club Membership. When you’re ready to join the club, you can either sign up over of the phone or stop by our office. 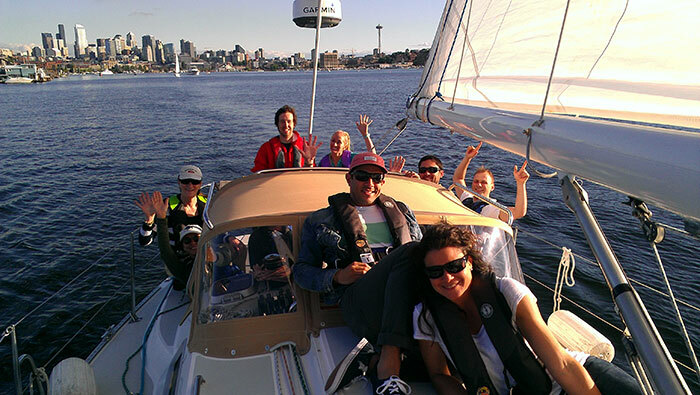 We’ll set up your 12-month contract, settle up on the one time membership set-up fee, give you a tour of the club, dock, and boats, and introduce you to our friendly Seattle Sailing Club Crew! 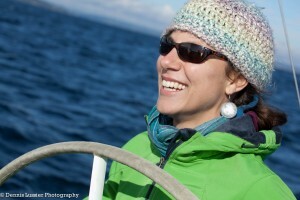 What qualifications do I need to take out a boat with my friends and family? Learn to Sail! SSC offers sailing lessons from beginner to advanced. Our school is an American Sailing Association affiliate and upon completion of your lesson, we will proctor your certification exam. Once you’ve passed the ASA 101 “Basic Keelboat” and ASA 103 “Basic Coastal Cruising” lesson and exam you will be certified to skipper our boats under 30ft. Upon completion of ASA 104 “Bareboat Charter” lesson and exam, you will be certified to skipper our boats up to 50ft. Checkout: If you’re already certified or have years of sailing experience, we’ll schedule a check-out sail with one of our USCG licensed instructors. Depending on your level of experience, you may choose to be checked out on boats under 30ft or boats up to 50ft. Once you’ve completed the checkout and the instructor has signed you off, you’re ready to reserve your first boat! Now that I'm a member, how do I reserve a boat? Once you’ve become certified(ASA103 or higher) or passed your SSC checkout, you are now ready to reserve a boat! We have an online reservation system for members to reserve boats for daysails. For overnight charters, please give us a call or shoot us an email.